Bring spring into your life! The sky is starting to shine, the air is warming up, and all of the animals and insects seem to be coming out of hiding— spring has sprung! And there is no better way to enjoy the beautiful warm weather than by spending time outdoors. Not only spending time outside is a great way to socialize and have fun, but also it can do wonders for your health. 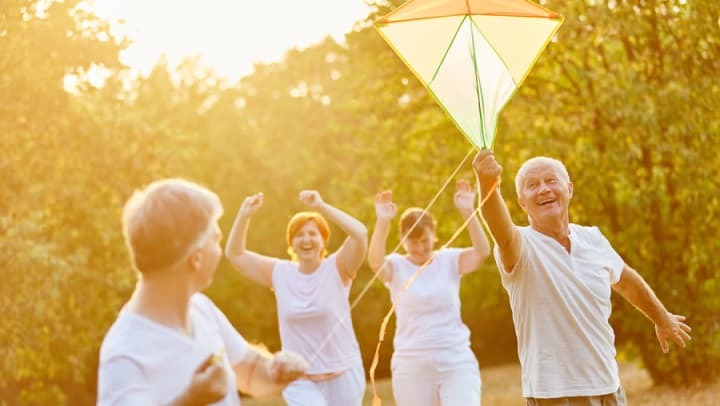 Research shows seniors who spend more time outdoors experience less pain and sleep better, and are happier and more relaxed. You can soak up some vitamin D from the sun, which is essential for a healthy brain, bones, and muscles. So, what are you waiting for? Get outdoors and start enjoying these fun springtime activities! Here are some great suggestions. Go for nature walk: Once the weather warms up, the birds start chirping and the flowers start blooming. Immerse yourself in the beauty of nature by going for a leisurely walk. During your free time explore the grounds of your senior living community. In addition to exploring the great outdoors, nature walks are a fun way to stay active and healthy! Photography: Spring is the best season for the people who love photography. Photos and photography are a great way to exercise the mind. Not only is taking pictures fun but making the photos into crafts is fun as well. Seniors in assisted living can take pictures of their friends, family, and their beautiful surroundings. Pictures can be made into collages, scrapbooks, and even photo magnets. Take a dip: If your community has an outdoor pool, take full advantage of it! Take a dip in the water, do some water aerobics or even lounge poolside. Have a craft day: Stay indoors or sit outside on the porch and create something to celebrate springtime! There are plenty of different spring craft ideas from which you can choose depending on your time and state of mobility. Decorate your front door with a beautiful spring wreath. Decorate your flower pots with several different, fun designs. The only limit to how many springtime crafts you can create is how much time and energy you devote to crafting. Bring spring inside: Because there will be some rainy days during spring, bring a little bit of springtime inside. Find a few houseplants and set them around the house to bring a little color and fragrance into the room. Family gathering: Seniors enjoy the time spent with family and close friends most! Arrange a spring lunch where everyone brings a dish to share. Make it even more fun by involving your older adult in the planning and decorating. These are some great springtime activities for seniors. You may be wondering, is there a senior living community near me that offers these types of fun activities? The answer is yes! Visit us online at www.pacificaseniorliving.com to find the perfect senior community near you.